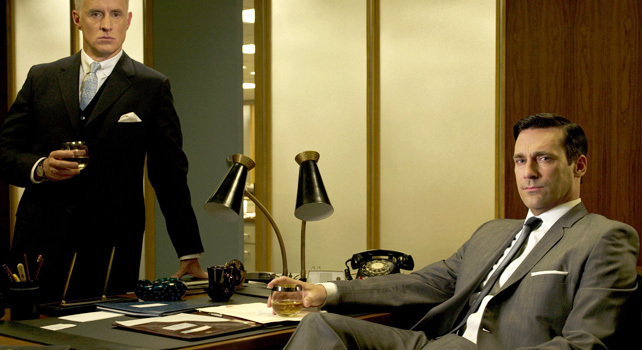 A new study of Facebook ads shows that what’s old school is new school again. A new study by Facebook brings some big news that, curiously, at first blush might not seem like much news at all. It’s this: If you want to create successful ads for the social network, just do the same thing you would do if you were advertising on TV. Or in magazines. Or on the radio. But here’s the thing: Until now, Sean Bruich, head of measurement at Facebook, tells Fast Company, marketers have been unsure about how, exactly, to advertise on the social network. It’s a new medium, and a whole conventional wisdom has emerged about do’s and don’ts, telling brands they need to interact differently with consumers on Facebook than they have in other forms of media. Be conversational, for example, or be interactive. And as a result, some advertisers have thrown out the book on how to create a great campaigns in the hopes of unearthing some new formula that works uniquely well on the new medium. Bruich is presenting the results of the study in a paper called “What Traditional Principles Matter When Designing Social” at the Advertising Research Foundation’s Audience Measurement 7.0 conference today. The study had professional marketers evaluate 400 Facebook ads against six traditional criteria for advertising creative: Whether the ad has a focal point, how strong its brand link is (ie: how easy it was to identify who the advertiser was), how well the tone of the ad fits with the brand’s personality, how noticeable the ad is, how effective it is at getting its point across, and whether there is a “reward” for reading it (ie: Did it make you feel good? Did you learn something?). Then the study looked at how well the ads performed, using two traditional advertising measures: ad recall and purchase intent. That it should be news that advertisers should follow time-tested principles when advertising in newfangled media highlights how confusing social media has been for many marketers. This ad, which Fast Company grabbed from our own Facebook account (and was not necessarily included in the study), includes many of the elements Facebook says are key to driving performance. 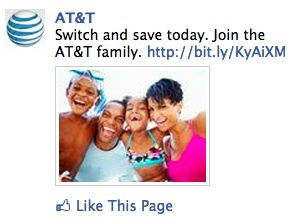 It has a strong focal point (the image) and a strong brand link (AT&T is clearly identified as the advertiser). The tone hews to the AT&T brand tone. And there are two “rewards”: the happy family makes the viewer feel happy, and the promise of saving money draws the reader in.